New Zealand's South Island has more nature than you can throw a stick at. Just over 17 percent of the island is dedicated national park, within which there are countless hikes for both multi-day trekkers and half-hour stroll-takers. While the South Island is consistently amazing and pretty much any walk you go on will exceed expectations, we've handpicked these five as our particular favourites. When you need to quiet your mind, they'll be there for you. With waterfalls, snowy mountains and views in spades, Routeburn is an absolute show-off in the nature department. Open to the public since the 1880s, the 32-kilometre track winds along the glacial Route Burn river and up past both the Routeburn and Earland Falls. It's an easy South Island favourite and has truly earned its place as one of New Zealand's Great Walks. 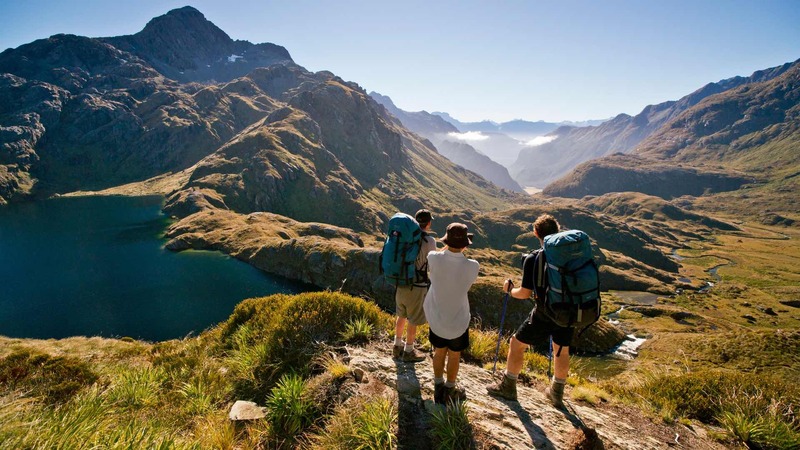 The Fiordland National Parks-based track takes about two to four days to finish depending on your fitness level and how long you want to spend taking in the various majestic views. The track is only open from October through to April, and it pays to reserve a spot at one of the Department of Conservation huts or campsites early, as the department has a monopoly on park accommodation and spots are guaranteed to fill up fast. 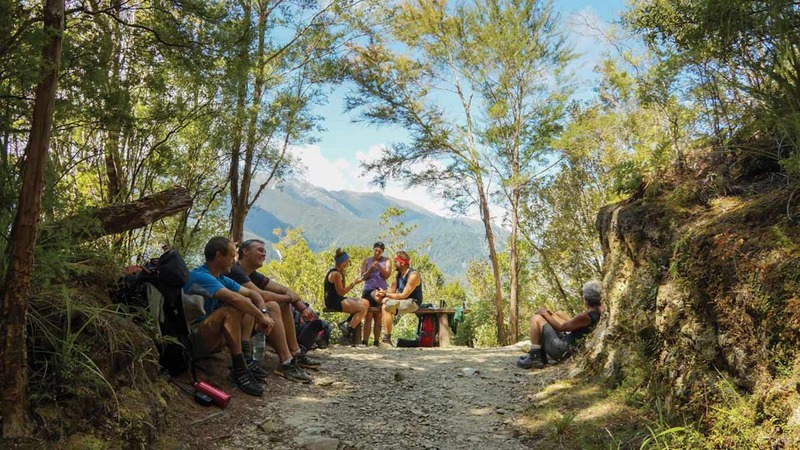 Based in the Kahurangi National Park, the Heaphy Track spans across the Nelson-Tasman and West Coast regions, taking hikers through dense Nikau palms and forest and out towards the beautiful, choppy Tasman Sea. The track also has quite a few cute little side trips, including a small expedition through an "enchanted forest" filled with beech trees and the remains of old caves. Take a torch and go exploring inside the caves a little, especially the one that has a small waterfall pouring out of it. The Heaphy Track totals 78.4 kilometres, so should take you between four and six days. The track's open all year but use your common sense and check the Department of Conservation site for up-to-date alerts before embarking on your trip. 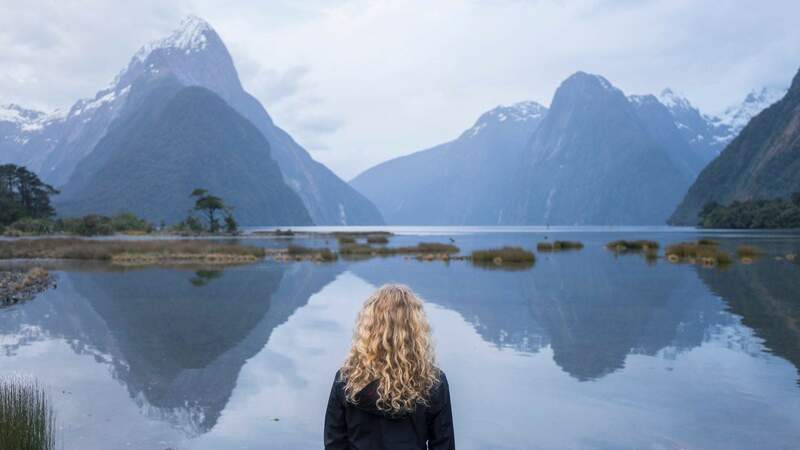 The Milford Track was historically used as a practical route for Maori to traverse the Fiordland area, but British immigrants quickly cottoned onto the four-day track's potential as a recreational walk when they stumbled upon it. By the early 1900s the news had even spread to London about this beauty-saturated route, the poet Blanche Baughan describing it as "the finest walk in the world" in the London Spectator in 1908. 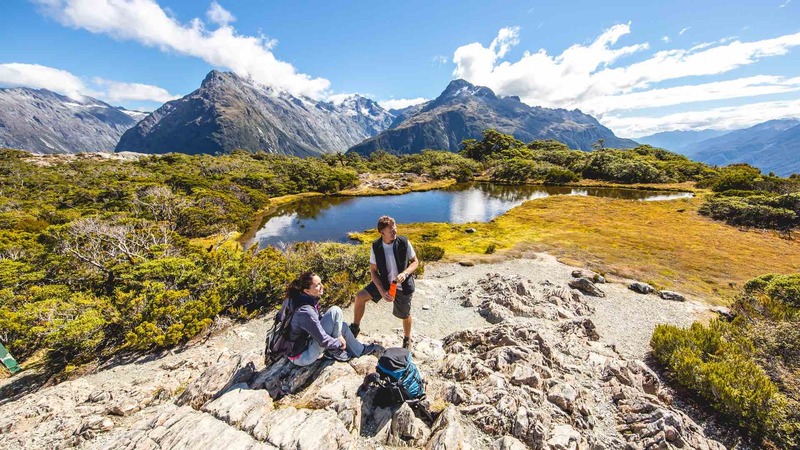 The 53.5-kilometre track is still the most famous of all New Zealand hikes due to its iconic and varied Kiwiana landscape and views. But with fame comes the necessary bureaucracy; to walk the track, hikers need to book months in advance. According to Reddit rumours, Led Zeppelin singer Robert Plant wrote 'Stairway to Heaven' after going up to the Mueller Hut. 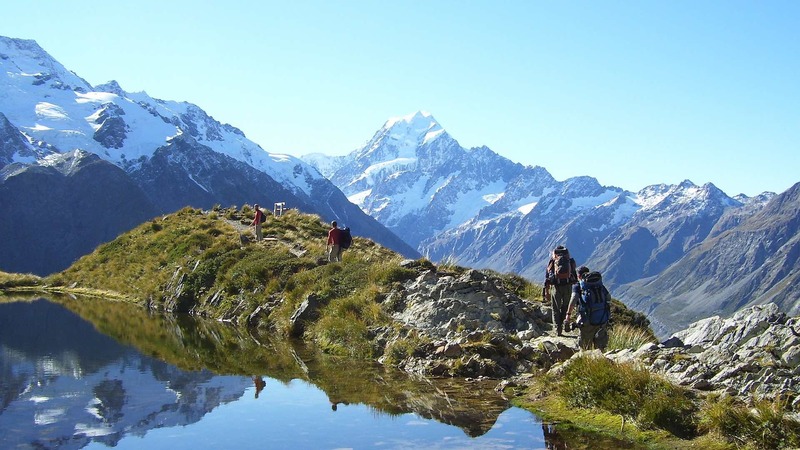 The ten-kilometre return hike starts with a gentle incline to the Sealy Tarns, where on a sufficiently bluebird day you'll be blessed with a view of Aoraki/Mount Cook. This is about your halfway point. After that, the two-hour alpine track through the tussock to get to the hut begins. The view from the Mueller Hut itself is a combination of glaciers and New Zealand's highest peaks in all directions. A stairway to heaven indeed. Alex Knob is a track that will give your quads a baptism of fire, with about a four-hour steady climb. 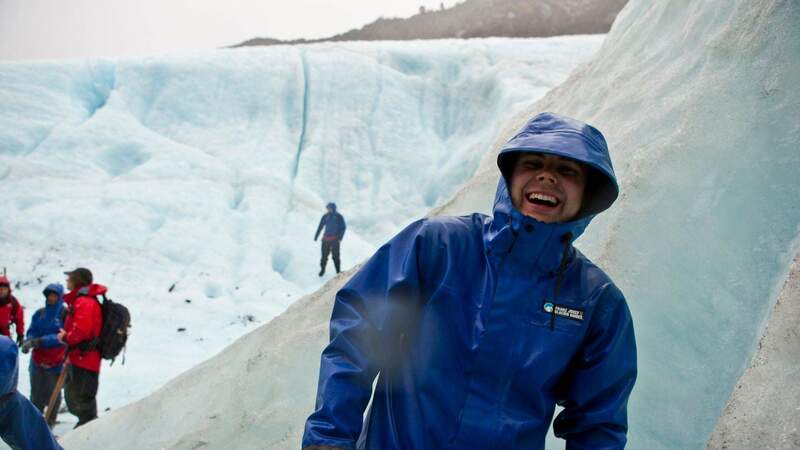 The Rata Lookout over what is just an absolutely glorious view of the Franz Josef Glacier will make it worth though. The track is for experienced and well-equipped trampers only, so stay below the snow line if you don't have alpine hiking experience or crampons. Don't be that guy in the news for getting seriously injured or lost in one of our national parks. 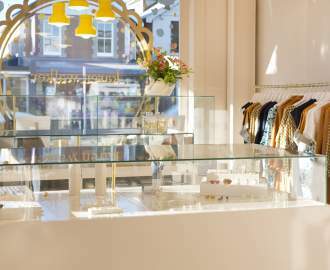 Start planning your trip to New Zealand's south with our guide to the South Island journeys to take here.